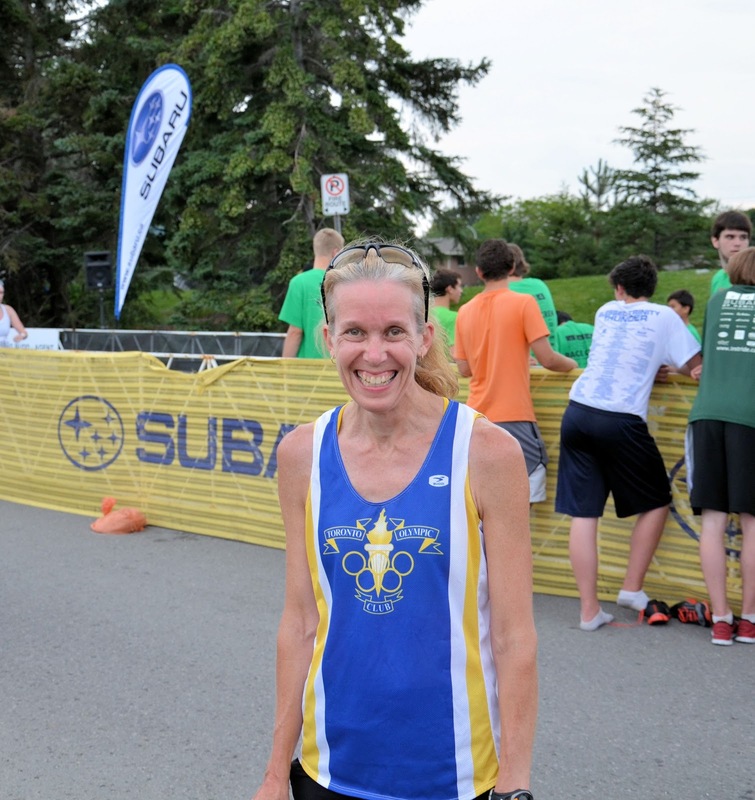 Two weeks ago, I raced the Peach Bud 10K in Grimsby, Ontario. Yes, I know that two weeks seems ages ago, but I needed a break from writing. Life has been, for lack of a better word, complicated. Between the day to day tasks of working, parenting and running, I simply haven’t had the time to devote to writing and blogging. Now that I’m on summer break, I can put the effort into it. I decided that this race recap would be a great place to start. The Peach Bud 10K was only a month after The Buffalo Marathon. I was still recovering from that and I hadn’t spent much time on speedwork. But I also knew that I had to get out and throw myself into a 10k to get my head into racing at faster speeds again. Marathon training is great for distance, but it really messes up my pacing for shorter distances. Coach Kevin wasn’t too thrilled about my want to race, but he agreed; he knew that I needed it psychologically. We decided that it would be a ‘C’ race, one that is thrown into my week of training without any kind of taper. Basically, it would just be a hard run in a race situation. I knew the course from racing it 4 years ago and I felt I could run it well. Then, Mother Nature threw some heat rays towards the GTA; the race was at the end of summer’s first heat wave and the temperatures that night were forecasted at 34C (with humidity). I wasn’t about to throw in the towel; if anything, I was more determined to run this race respectably well. I knew everyone would be facing the same conditions; my time, like everyone else’s, would likely just be slower. Hubby Dave ran the 5K which started half an hour before my race. So I warmed up with him and a bit more while he was on the course. I wanted to watch him finish and figured that he should come in under 30 minutes – tight timing for me. I saw my friend, Anabela and her daughter, who was also running the 10K. We complained about the heat (misery loves company), cheered wildly for Dave and got to the start line with 2 minutes to spare. I won’t lie; the race was tough. My first kilometre was fast (4:07), but I pulled it down to a better pace immediately (2k in 8:43). Looking back, I think I slowed down too much because I seemed to have locked myself into that pace for the rest of the race. I ran a good 5K and thought I was on track for a sub 44 finish. Right after, though, I feel apart. Blame it on the heat, the hills, the wind from the west or just not being ready to race 10k yet. Getting through 6-8k, where I had to face all of those things, was tough. But I was not going to quit. Just past the 7K marker, one of the spectators made eye contact with me and said, “You’re 5th woman. Go get her.” That was all I needed. I looked up the hill and saw #4, who was about 400 metres ahead of me. “I can catch her,” I told myself. So I changed gears – just a bit – and pushed myself forward. I didn’t want to be #5; I wanted #4. By the time I got to 8K, the course was flatter and out of the wind, and I knew the last kilometre was a slight downhill. “I can do this,” I told myself. “I’m catching her” soon became “I’m going to pass her before she gets to 9K.” And I did. At that point, I was not going to slow down; I was going to keep opening the gap and I was ready to change gears again to keep my position. Dave was at sidelines in the last kilometre to cheer me in. Later that night, he told me that I looked strong. As supportive as he is, Dave has never complimented my running before so that meant a lot; my running must be getting better. As I got closer to the finish, I was surprised by the amount of support that I had from other spectators; it felt great. I crossed the finish line in 44:44.4 and finished as 4th female. As the first Master, I won a nice little prize pack from Tim Horton’s. I went to Grimsby wanting a standard to set for the summer and I got it. Sub-45 in heat; I’ll take it. What I also took away from this is the need to be tough; the 6-7k point has always been hard for me and I need to rethink how I’m going to push that at the next 10K: The Downtown Dash in Burlington. Love your recap and your determination to that goal of getting 4th. You are an amazing runner and inspiration and you don't know how much that meant to me that you came out to find me at the 9K mark and help me finish strong. 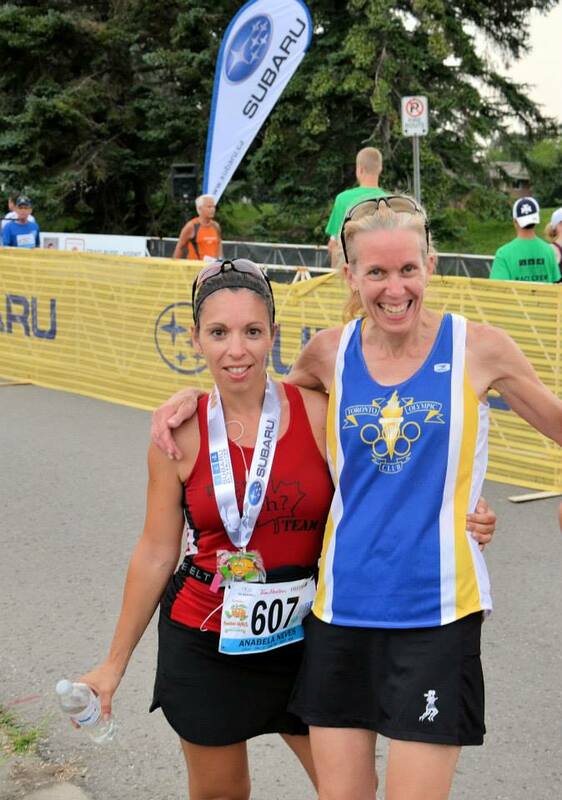 Thank you so much and congrats again on an fabulous race, 4th female and 1st masters, incredible!